Everyone has there favorite Halloween candy. I’m a chocolate gal and Kit Kats are one of my favorites. My daughter and I both go for the chocolate. I may have to secretly hoard some of the Kit Kats and chocolate goodies. If you can’t steal candy from your children then who can you steal candy from?! 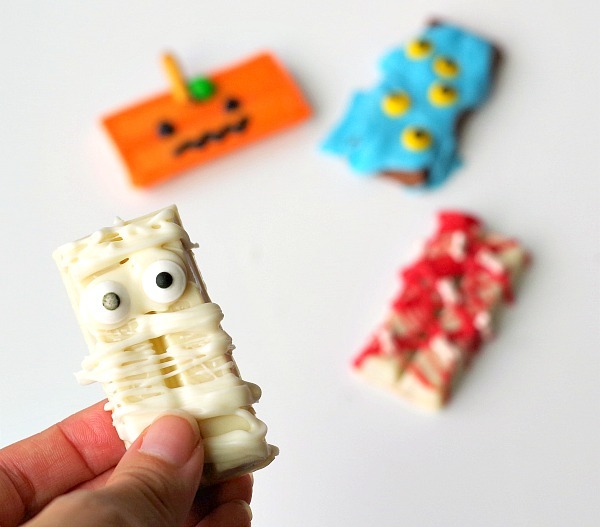 The fun thing about making these easy Halloween Kit Kat Bars is they come in different colors for a variety of Halloween things. I saw these in the store with white, orange and chocolate all in the pack. 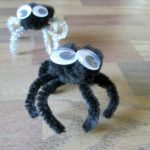 I knew they would be perfect for making cute Halloween creatures! Squeeze a dot of the sparkle gel at the top in the middle. Then put a piece of pretzel stick on top and a green M&M on the side of the pretzel. 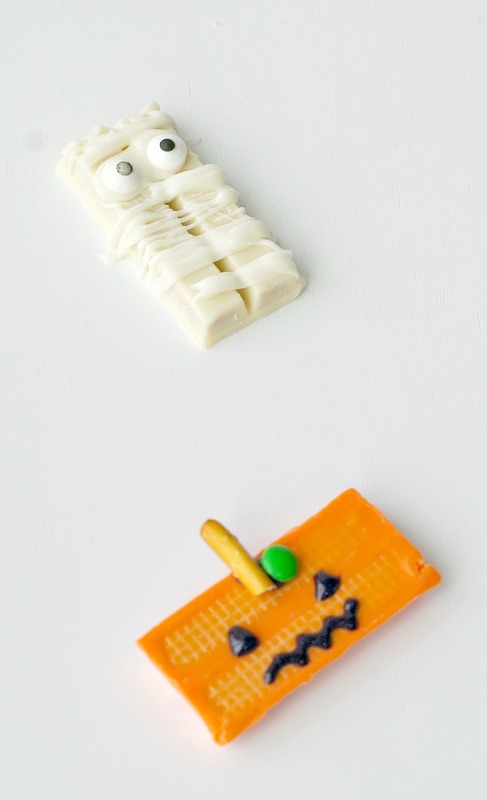 You could also use a small piece of the chocolate Kit Kat for the pumpkin stem. Draw small triangles for the eyes with the sparkle gel. Draw zig zags with the black gel for the mouth. Put the Kit Kat vertically on parchment paper. Melt white candy melts or white chocolate. Put a gob of chocolate towards the top in the middle. Put two candy eyes on top of the melted chocolate. Dip a spoon in the melted white chocolate and drizzle it back and forth. top to bottom over the Kit Kat. Melt blue candy melts. 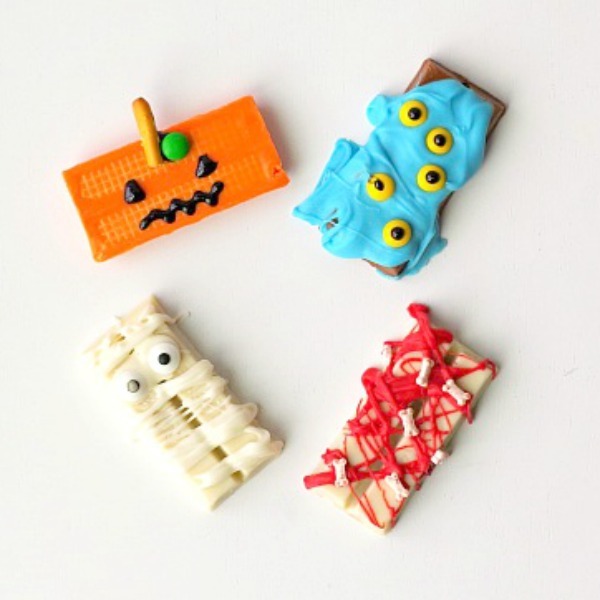 Get the ingredients ready and unwrap Kit Kat. 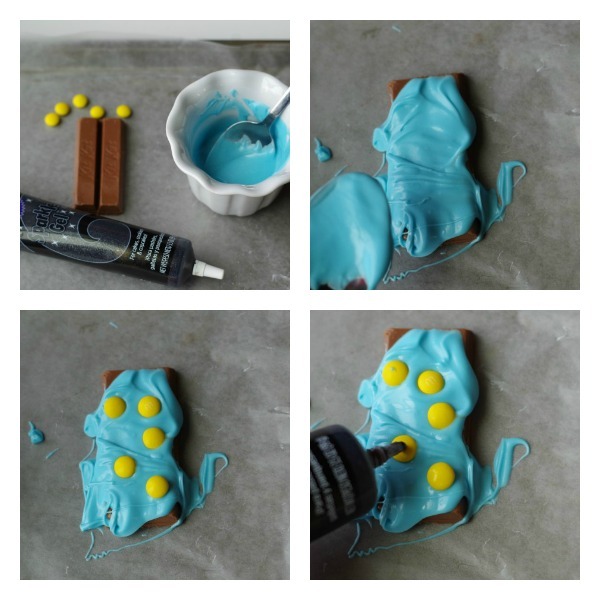 Spoon blue candy melts over the Kit Kat and spread it around. Put yellow M&Ms spread out. 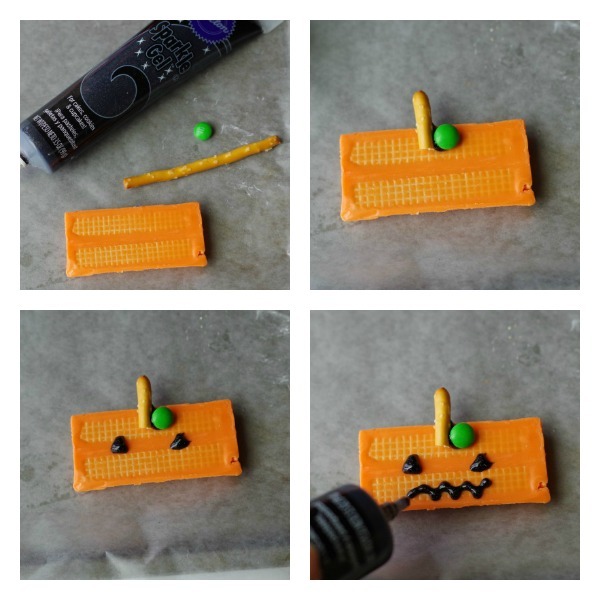 Put a dot of black gel on top of each yellow M&M. Melt red candy melts and unwrap the Kit Kats. Take a spoonful of red candy melts. 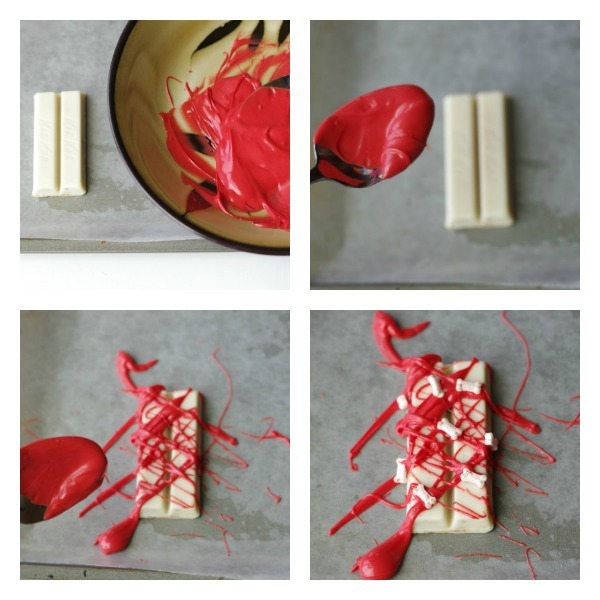 Drizzle the red melts over the Kit Kat back and forth up and down. Sprinkle the bone sprinkles on top. 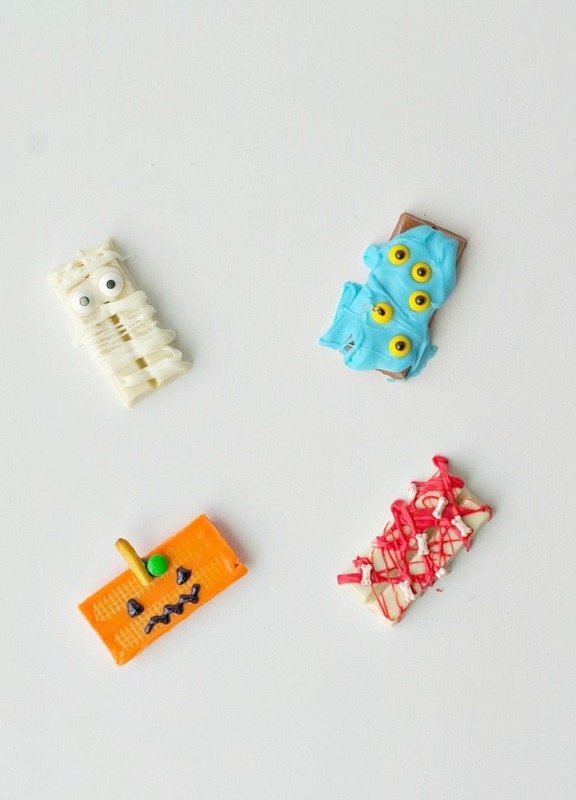 Easy as that you have some cute Halloween Kit Kat candy bars. 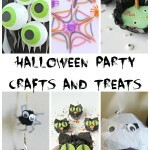 You can make some of these and leave the rest out for trick or treating. Pick one or two that you like to make to make it even easier. 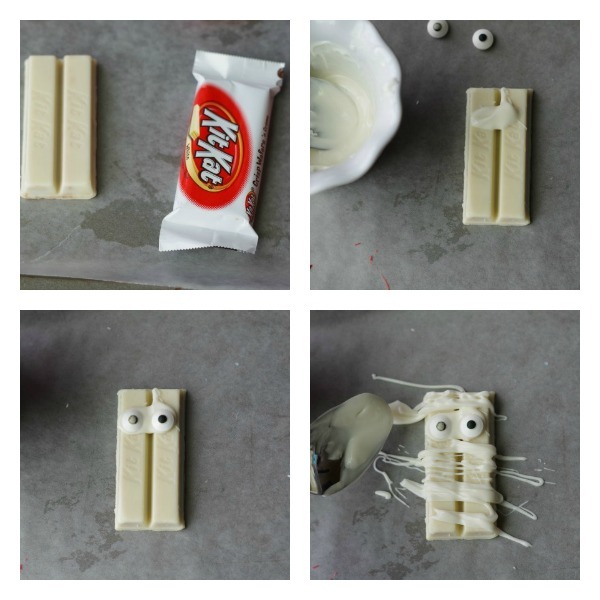 These Halloween Kit Kat Bars are especially fun to make with kids. 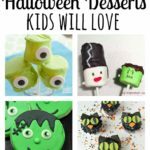 Halloween Desserts Kids Will Love! 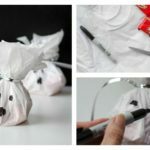 OK this is such a simple and cute idea!!! I LOVE this! 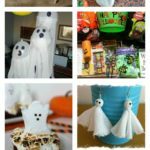 This would be a lot of fun to do with the kids as well.